“Such silence is a scourge plaguing Muslim nations. This is a catastrophe for the Islamic world,” said Ayatollah Khamenei in a Wednesday meeting with the families of the Iranian pilgrims who lost their lives in a human crush during last year’s Hajj rituals near Mecca in Saudi Arabia. The Leader further stated that Saudi rulers were so “shameless” that they even refused to offer an apology to the Muslim countries that lost their nationals in the tragedy, Press TV reported. “Even if no deliberation was involved, all the mismanagement and incompetence by a government and political system amount to a crime,” the Leader added. Not only governments, but even scholars, political activists and the Muslim world’s elite remained tight-lipped on the martyrdom of thousands of pilgrims, said Ayatollah Khamenei, adding that not showing sensitivity vis-à-vis the issues such as the great and heart-breaking catastrophe in Mina is a “real scourge” in the Islamic world. Riyadh has refused to update the death toll of 770 it released days after the incident. However, Iran, which had the greatest number of deaths among foreign nationals, has put the death toll at about 4,700. Just days before the Mina tragedy, a massive construction crane collapsed onto the Grand Mosque in Mecca, killing more than 100 people, including a number of Iranians, and leaving over 200 others wounded. In a message to Hajj pilgrims on Monday, Ayatollah Khamenei said Saudi rulers were to blame for the deaths of hundreds of pilgrims in both incidents during last year’s rituals. 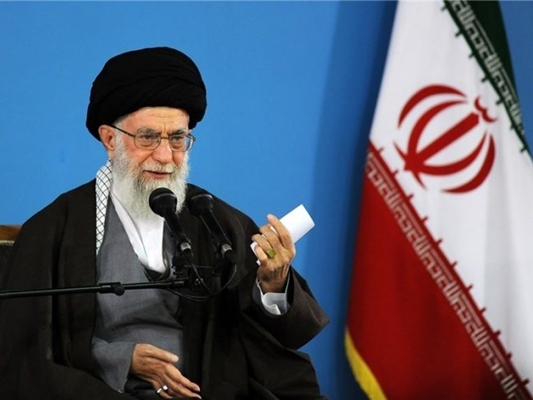 “However, instead of offering apology and expressing regret and prosecuting those directly behind this horrible incident, the Saudi rulers even refused to set up an international Islamic fact-finding mission in ultimate shamelessness and impudence,” Ayatollah Khamenei stated. Iran has cancelled the participation of its pilgrims in this year’s Hajj rituals because of Saudi Arabia’s refusal to guarantee the safety of pilgrims.